Yogurt made with live cultures is great for you- it’s high in protein, calcium and probiotics that aid the digestive system. 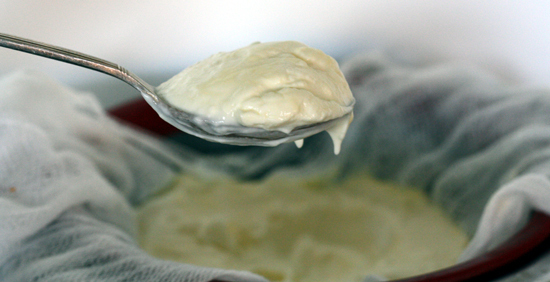 I’m a big fan of “low-tech” yogurt making- you don’t need any fancy equipment to make wholesome plain yogurt and once you have plain homemade yogurt, making delicious thick Greek yogurt is also a snap. I usually make yogurt with raw milk. As not everyone has access to (or wants to use) raw milk (and because it’s “Y” day of my alphabetical blogging challenge), I’ll share directions for making yogurt with homogenized/pasteurized milk here, too. 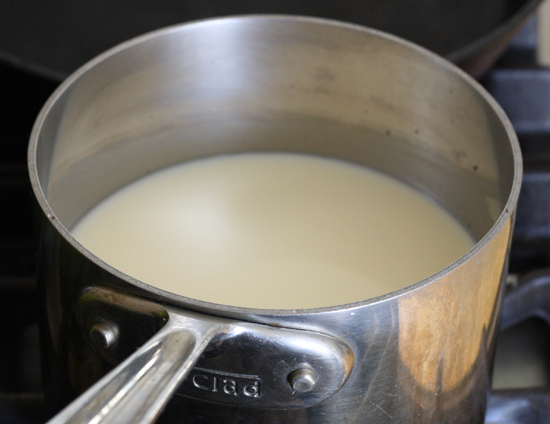 In a small pot on the stove, heat the milk to a temperature of 180°F. Turn the heat off and let the temperature come down to 110°F. You can put the pot in a sink of cold water to speed the cooling if you like. 110°F is the temperature at which you can stick a finger into the milk and hold it there for 10 seconds. Don’t let it cool below this temperature- it needs to be 110°F to culture properly. When the milk is at 110°F, pour it into the 1 qt. 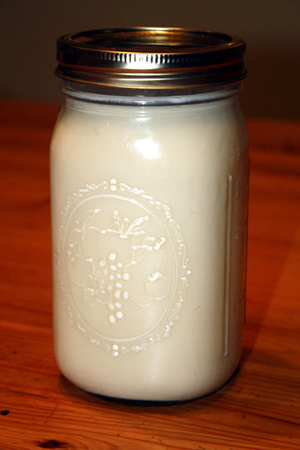 canning jar and gently mix in your starter culture or yogurt. Cap the jar. Turn your oven on to 110°F. Allow it to stay at this temperature for 10 minutes and then turn it off. 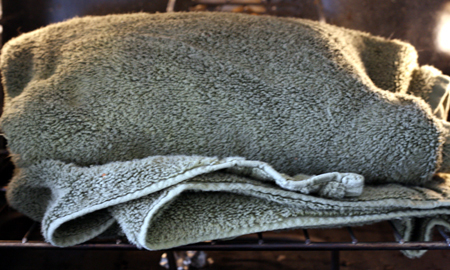 If you can’t set your oven at 110°F, turn it on to the lowest setting possible (in many ovens, this is 200°F), turn it off, and then give it some time to cool to approximately 110°F. …and then place it in the oven. Remove racks as necessary for it to fit. Turn the light of your oven on and close the door (this will keep the temperature slightly raised). 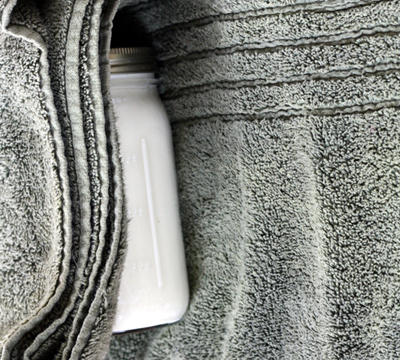 The towel will insulate the jar, ensuring that it stays warm during the culturing process. Leave it there for 12 hours or overnight, then unwrap the jar and place it in the refrigerator to cool for several hours. If you end up with liquid (whey) floating atop your homemade yogurt, this can be mixed in or poured off to give you a thicker yogurt. …or mix it with fruit, nuts, cooked grains such as oats…whatever you like. 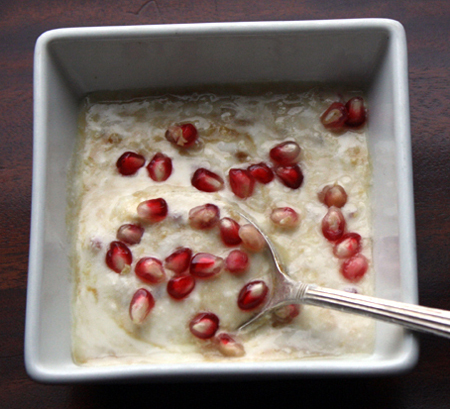 I love homemade yogurt with fresh fruits; one of my favorite ways to eat it is drizzled with a little pomegranate molasses and sprinkled with pomegranate arils. 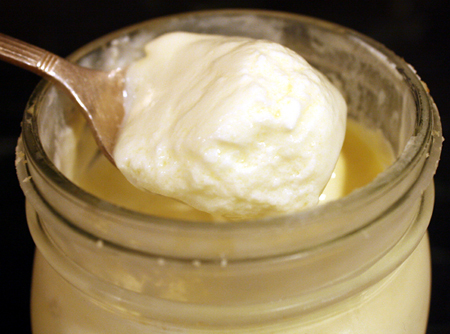 If you are interested in making a very thick Greek-style yogurt, you’ll want to strain out all of the whey. 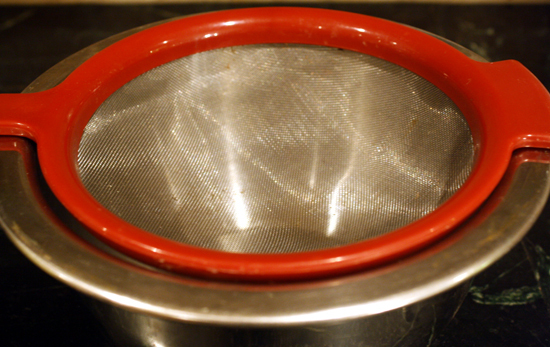 Line a colander with cheesecloth and place it over a bowl. 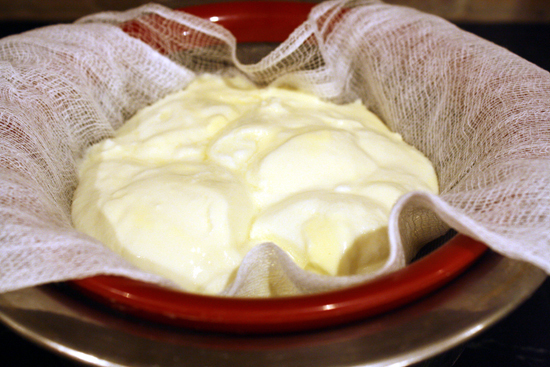 Alternatively, you could use yogurt making equipment for making homemade yogurt. I have heard good things about these yogurt making machines by Salton. The Easiyo Yogurt Maker with Lid Jar is much less expensive, though, and is also well reviewed. These help you easily maintain the correct culturing temperature of 110°F. If you are planning to make your own yogurt a lot (and if you like kitchen gadgets), it might be worth investing in one of these, but I’ve never felt the need to own one. So cool. I thought you needed all sorts of fancy equipment to make your own yogurt, but this doesn’t look too hard ;D.
Hi Winnie- I love the photos of the yogurt. Made me want to go downstairs and make and eat some right now! I make my own greek yogurt weekly. I found that after straining all the whey off, giving it a whirl in the blender gives it the perfect creamy texture that people love. I’ve also had great luck making soy Greek style yogurt too in the same way, my vegan friends love it. I have tried making yogurt with goats milk. It came out OK but I don’t care for the pungent flavor. What can I do to make it more like the store bought yogurts in flavor? I added berries and honey but still has a slight pungent flavor. The only way I can describe it.